Commisssioned by Jancy again. 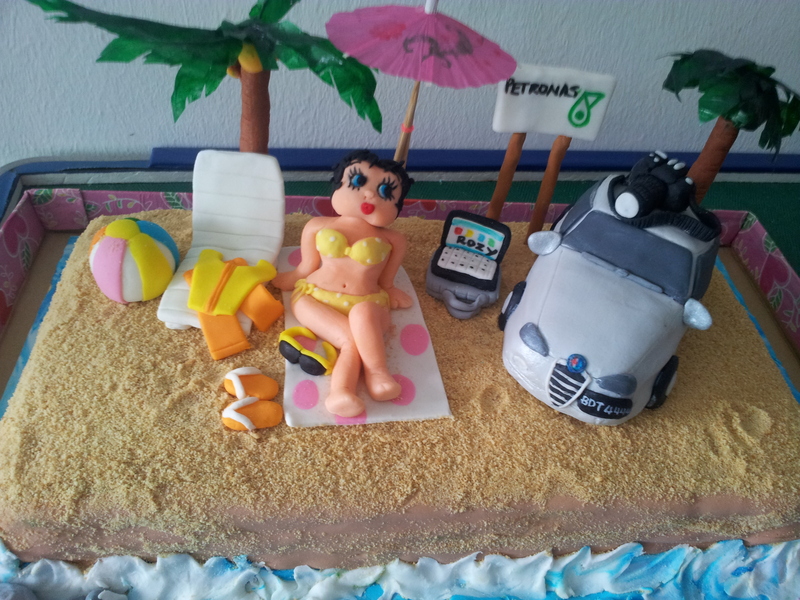 This time is beach cake for her friend Rozy’s 35th birthday. 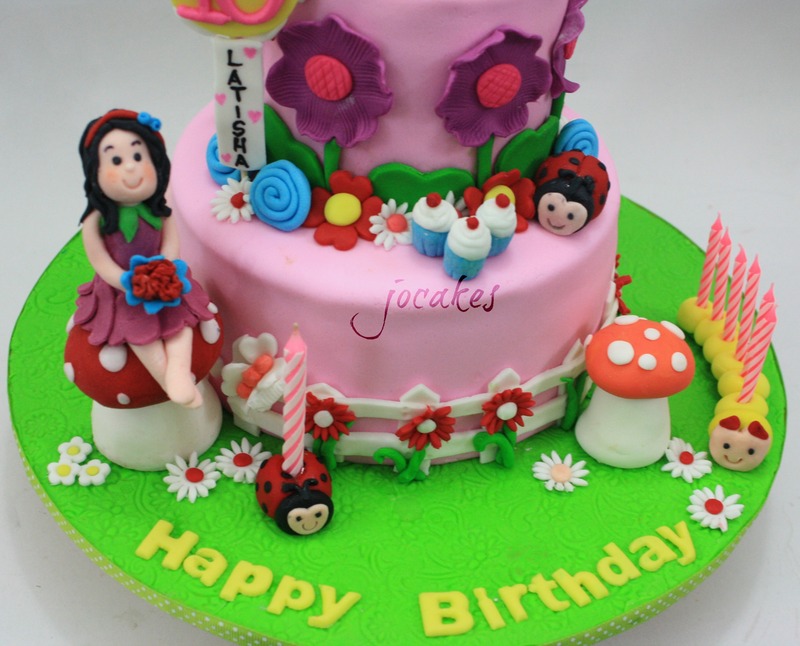 It’s a (13″ / 7″ ) banana poppy seed cake with cream cheese filling. 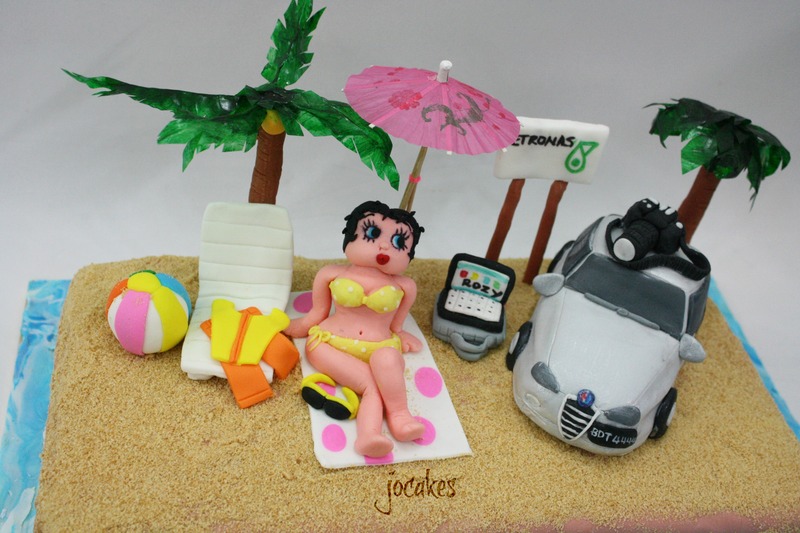 She requested me to make Rozy ( Betty Boop lookalike ) with big eyes and short curly hair sun tanning on the beach beside her Alfa Romeo car wearing a bikini. 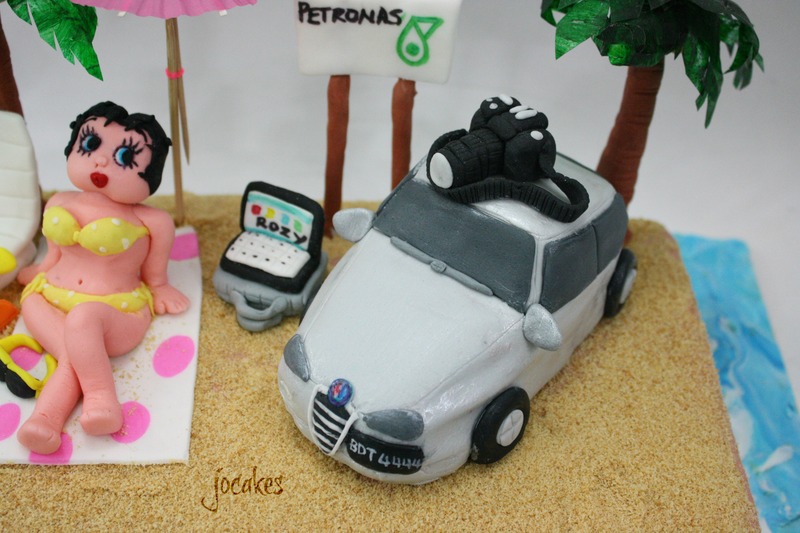 She is working on her assignment on GP Petronas while holidaying on the beach. 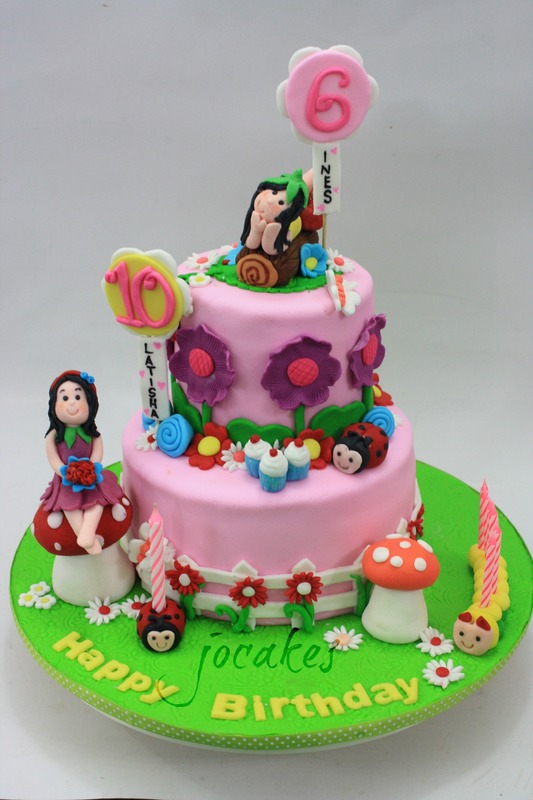 21 year old cake for Minjia. 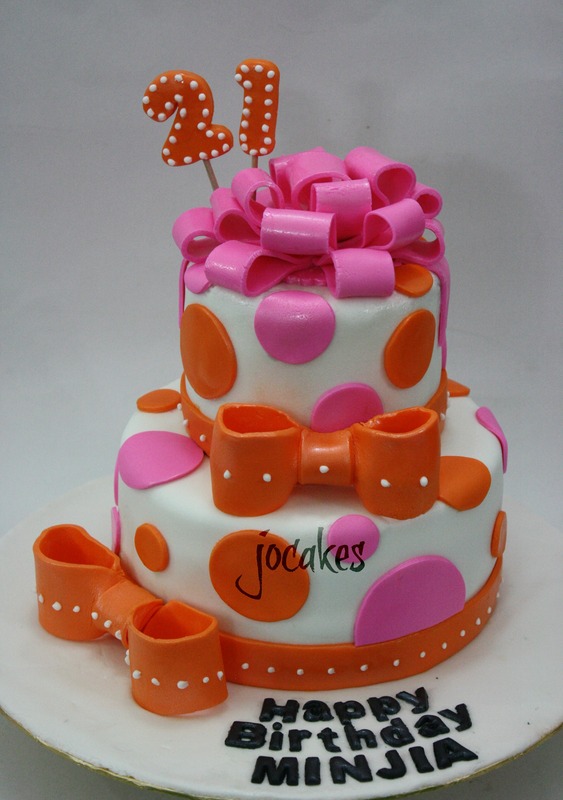 2 tie big bow birthday cake for 21 year old Minjia. 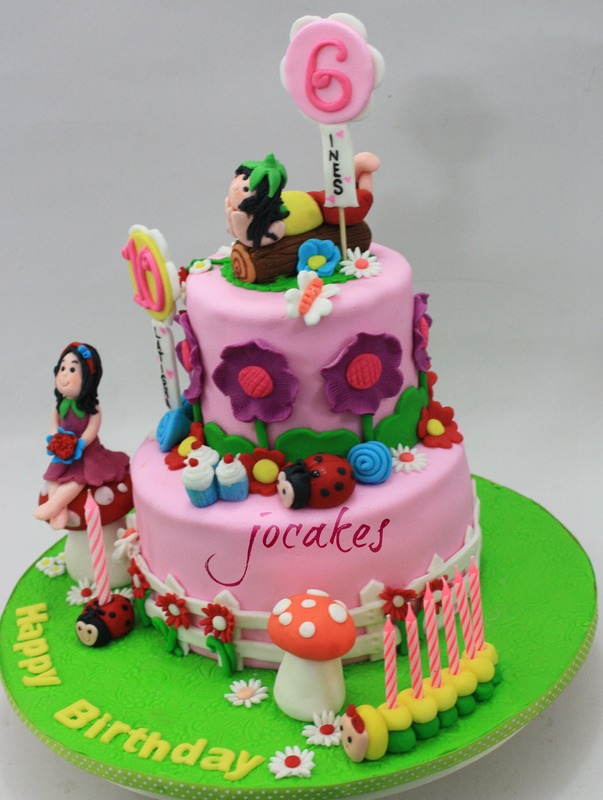 This 7″ chocolate moist cake was commissioned by Catherine for her son 1st birthday. 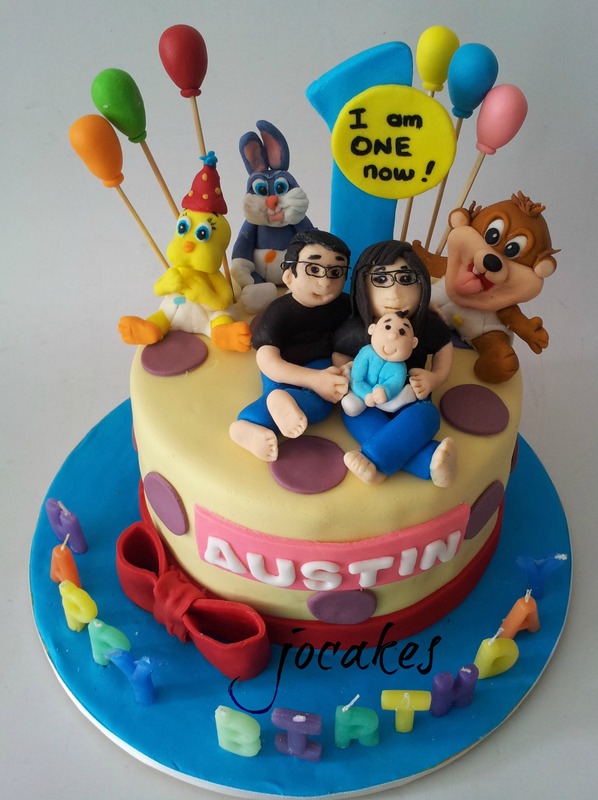 A family picture was sent to me to do their figurines as topper. 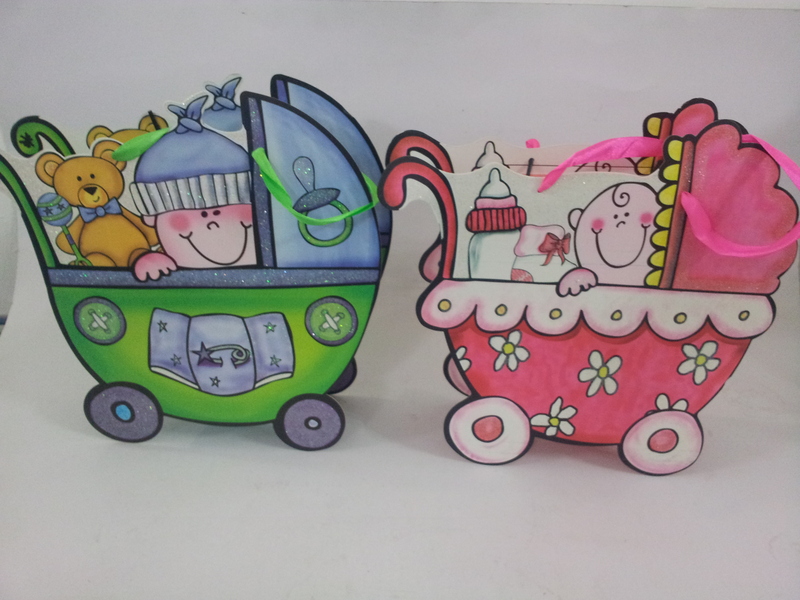 She also requested 3 cartoon character like Looney the Tunes, Taz and Bugs Bunny to put beside them. 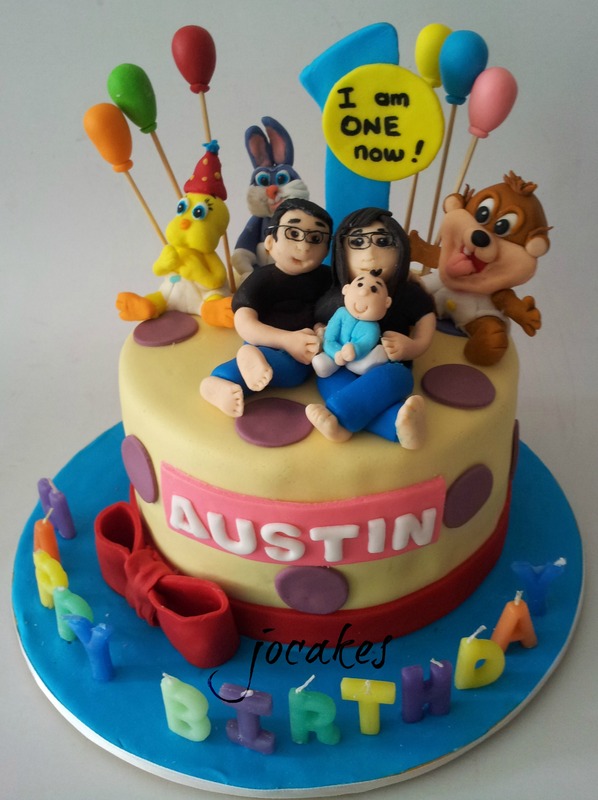 Pororo and friends cake for twin boys. 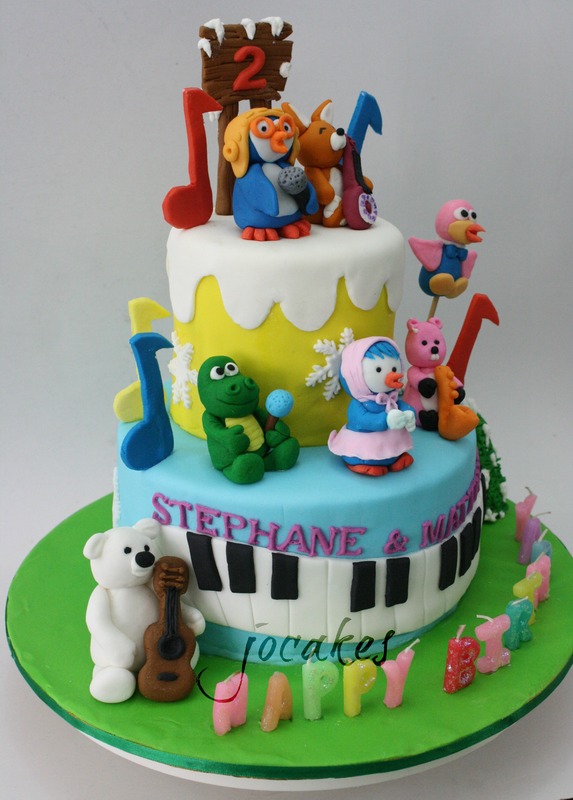 Commissioned by Ms lean Ean for her twin boys, Stephane and Matthieu for their 2nd birthday. 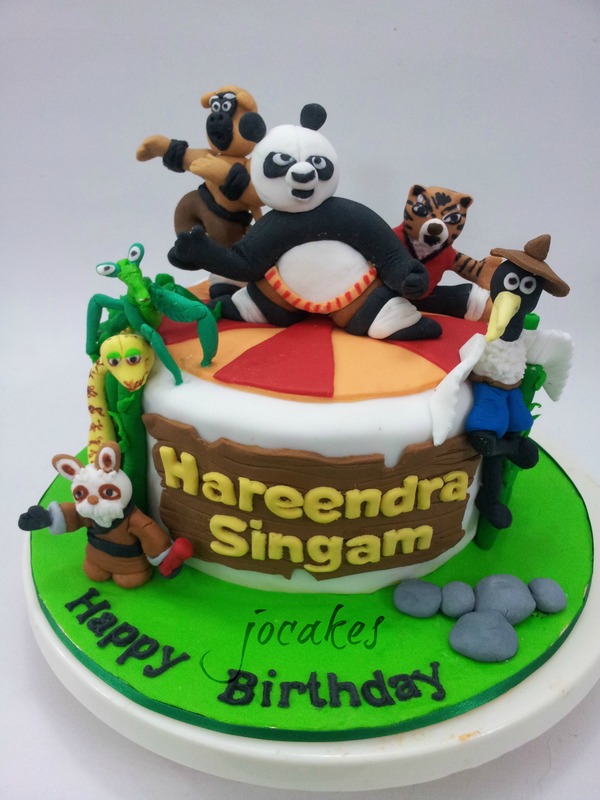 Kung fu Panda cake for 3 year old Hareendra. 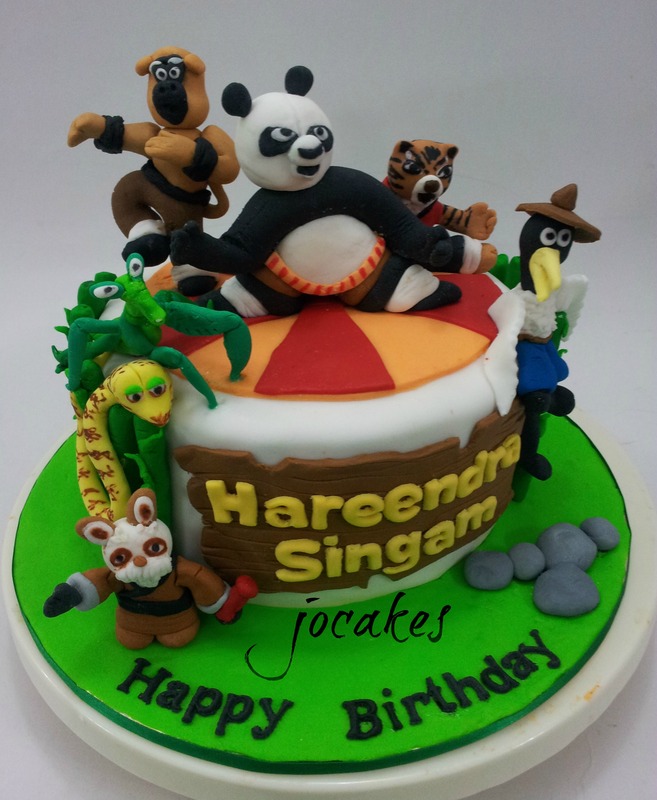 Commissioned by Shivani for her son, Hareendra singam 3rd birthday. 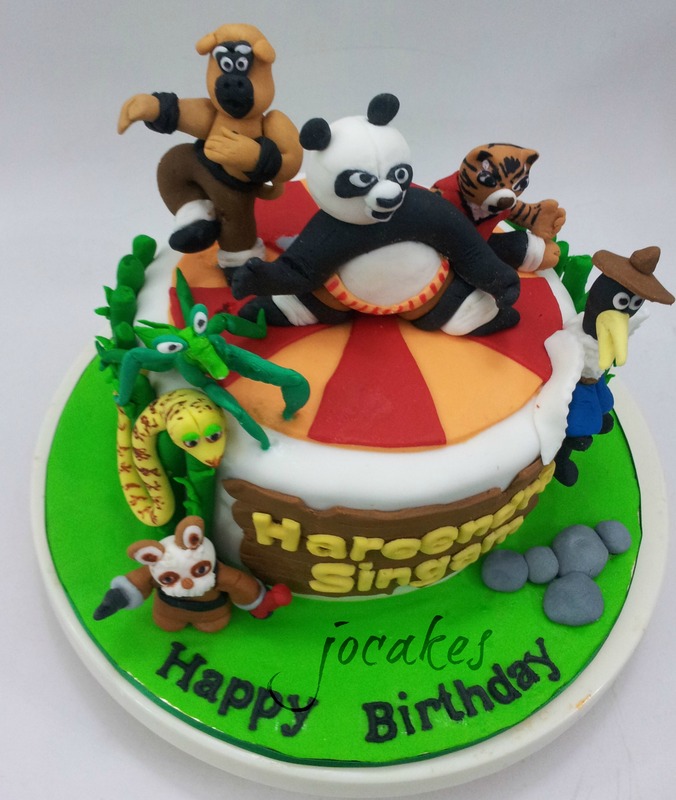 It’s Kung fu Panda, kung fu master and his furious five friends. 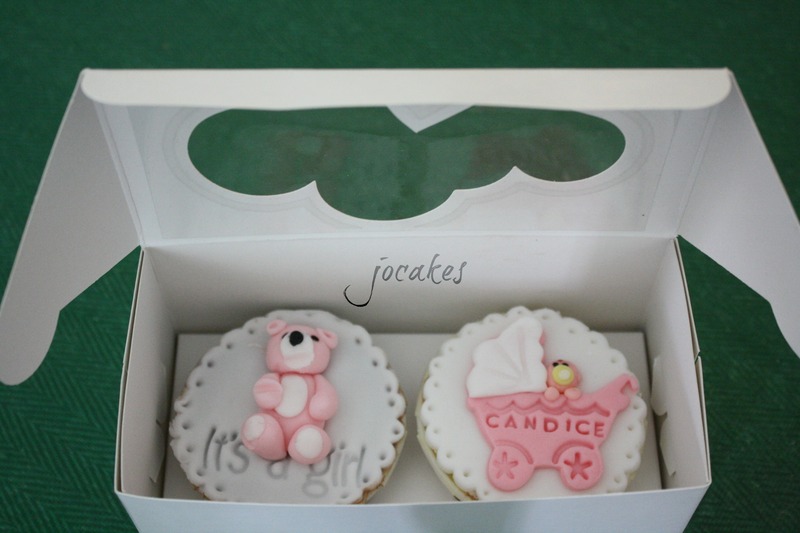 Girls cake for Ines and and latisha. 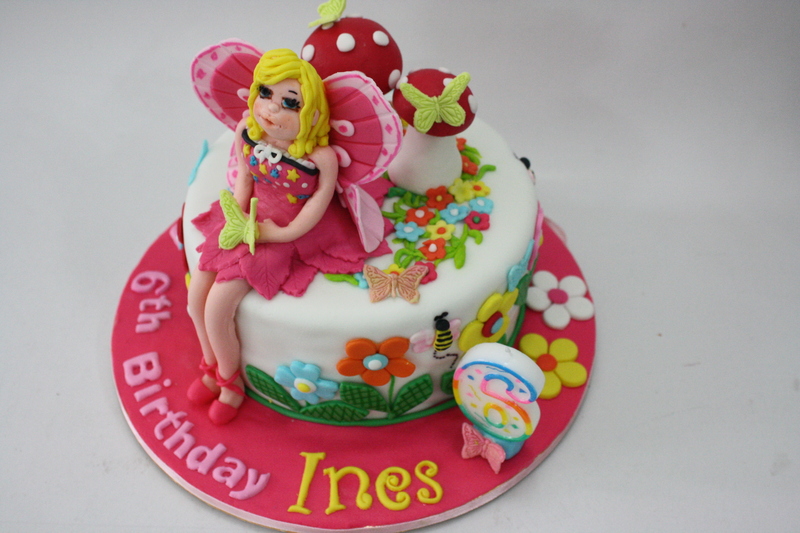 Commissioned by mom Lynna for Ines(6 year old) and her cousin, Latisha (10 years old) birthday. 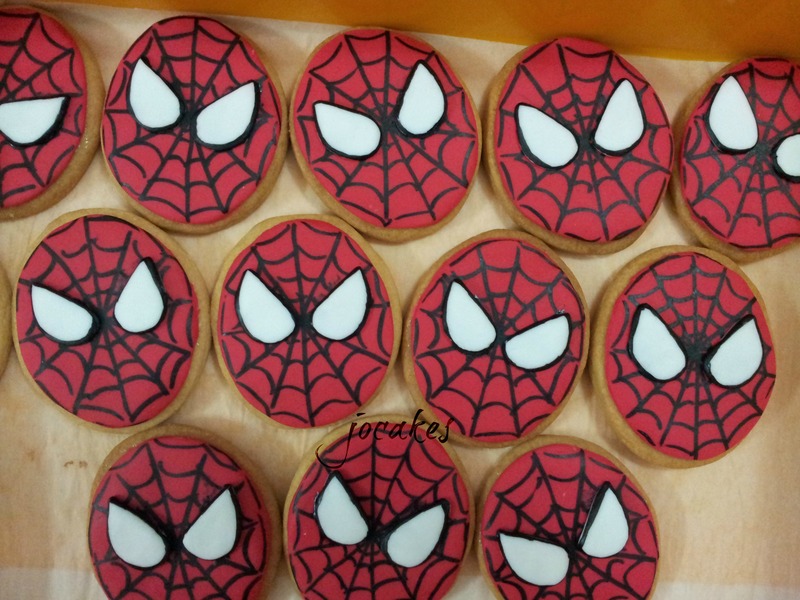 she also ordered matching cookies for the cake. 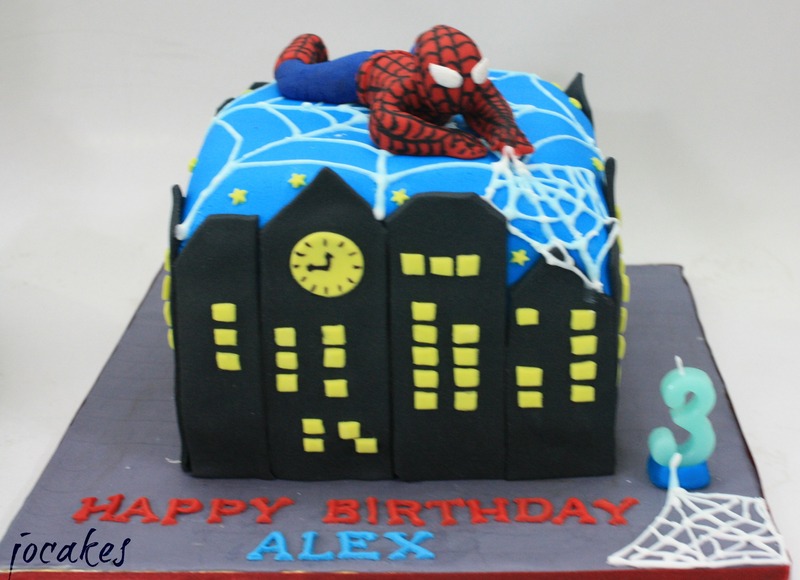 Spiderman cake and cookies for 3 year old Alex. 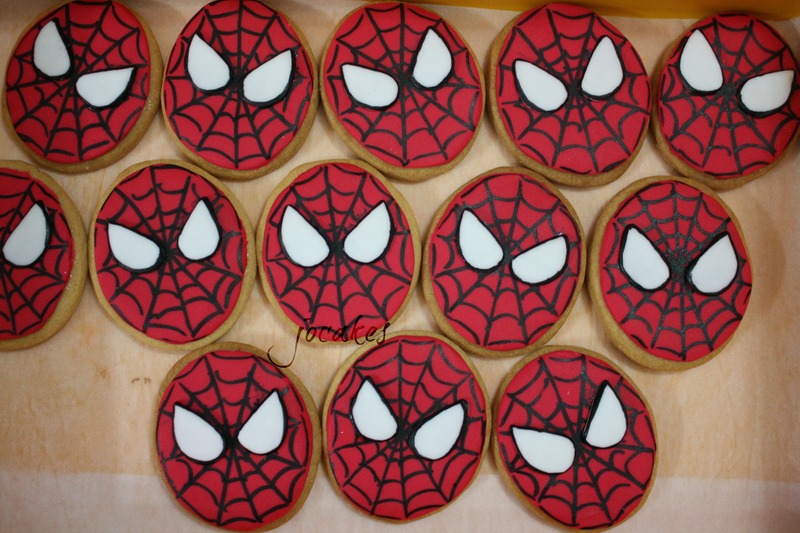 Posted by Josephine Stanley in Cookies ., Spiderman cake. 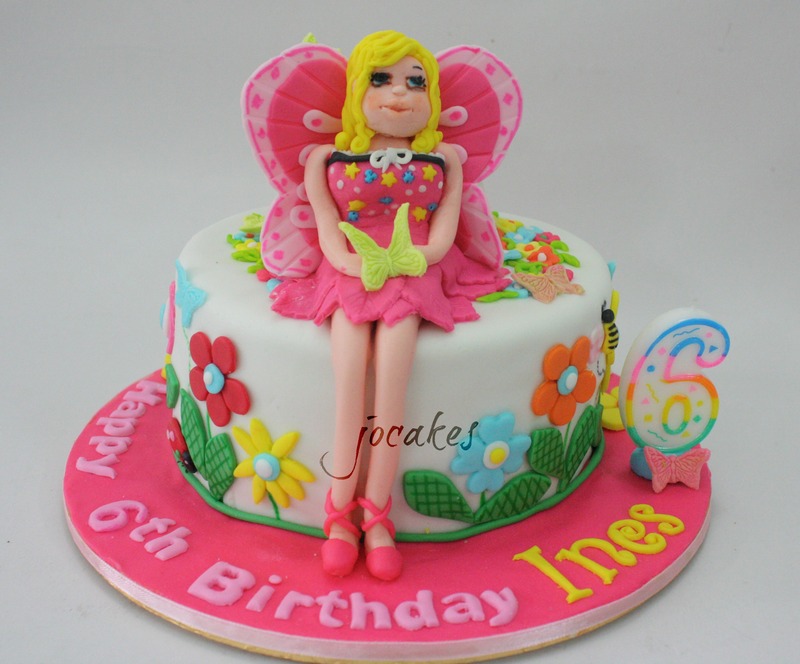 Butterfly girl cake for 6 year old Ines. 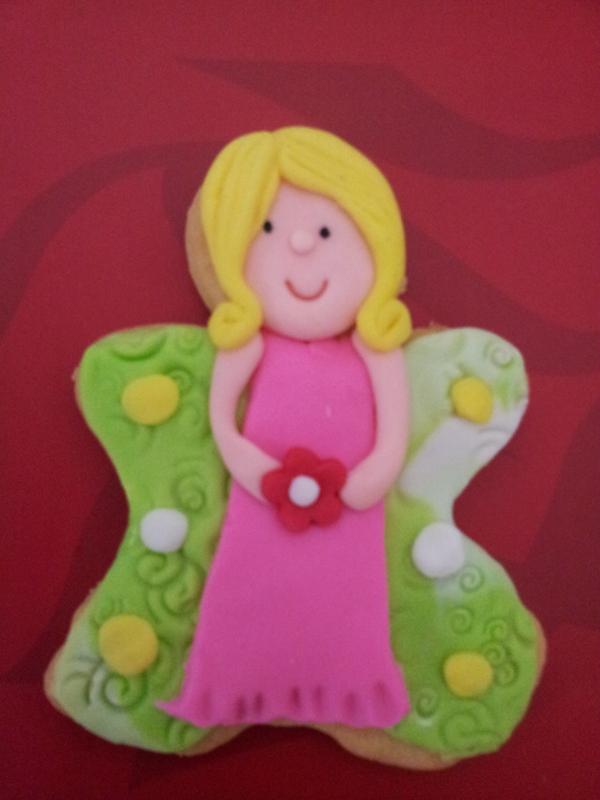 Posted by Josephine Stanley in Birthday Cakes, Butterfly girl cake. 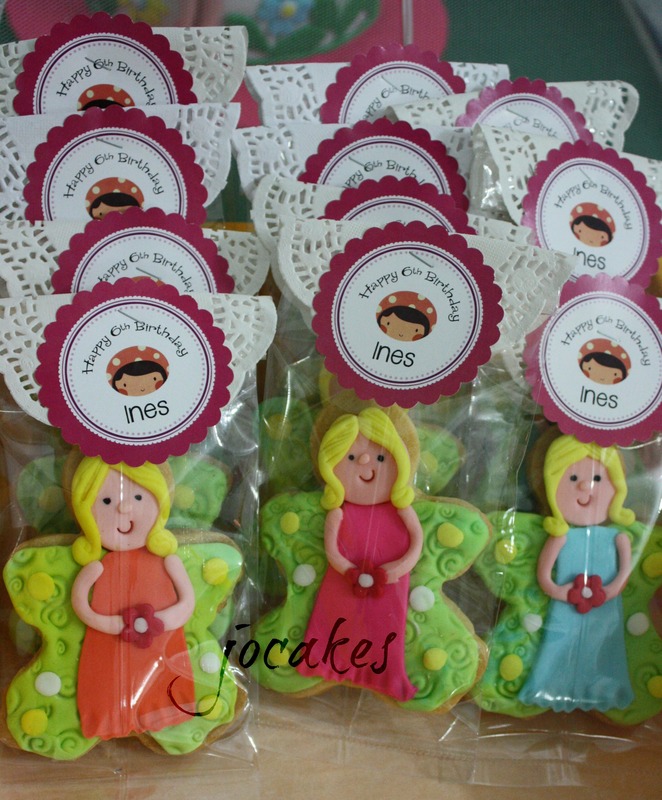 Ines 6th birthday falls on the 11th November and mom Lynna throws 2 party for her. 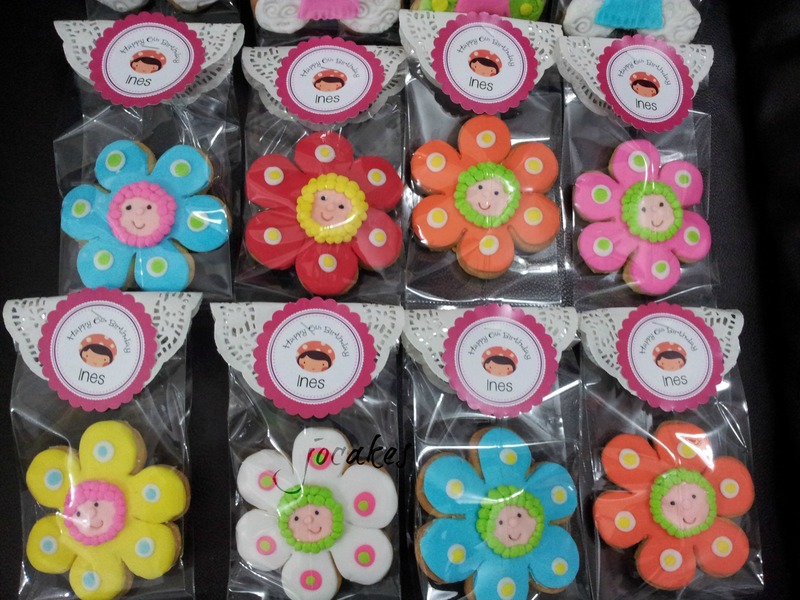 One is to celebrated with her school mates in her kindergarten on the 5th of November and the other one is with her family on the 10th of November. 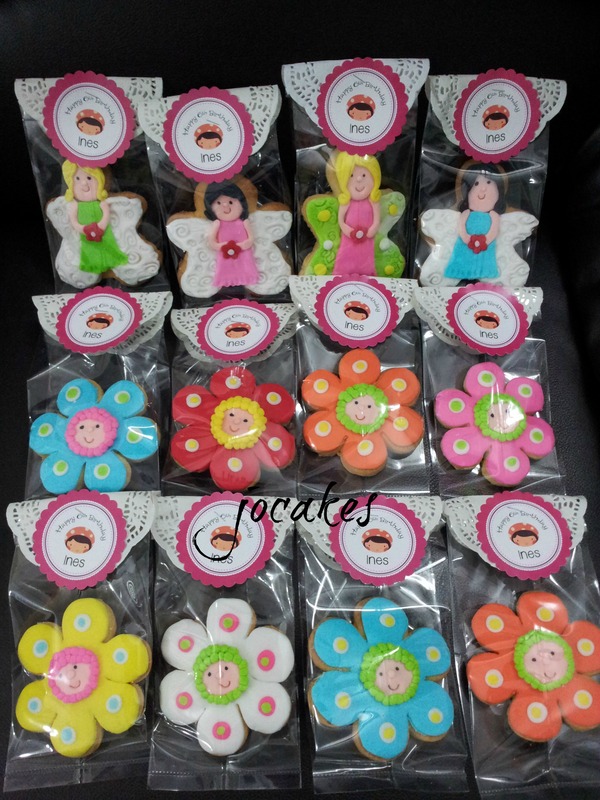 Lynna specially requested 41 matching buttercookies for the 1 tier butterfly girl cake along with 12 spiderman cookies for the boys and girls in school. 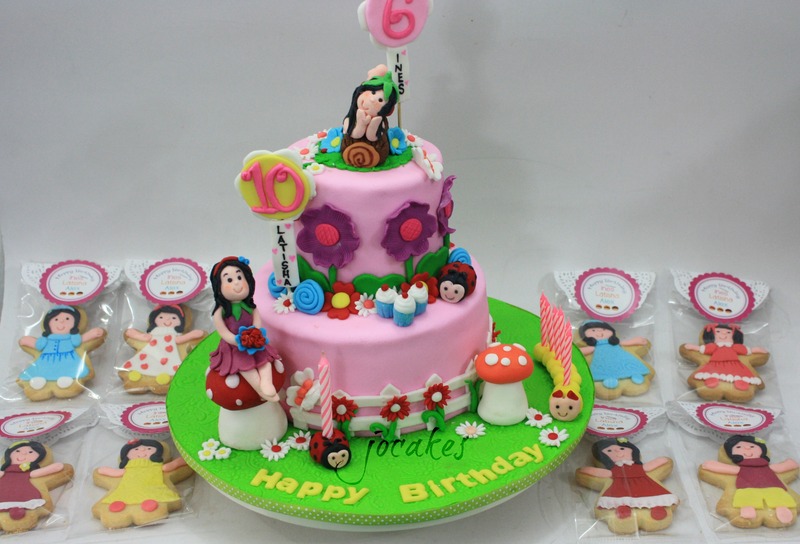 Her next party is a 2 tier cake which she is going to celebrate together with her cousin sister, latisha. 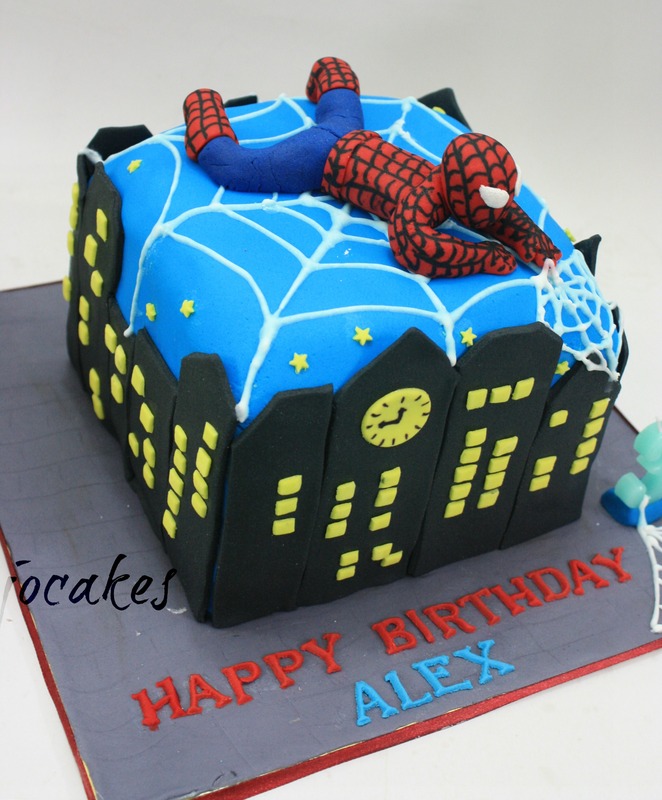 Her younger brother, Alex will also celebrate his birthday on the same day. 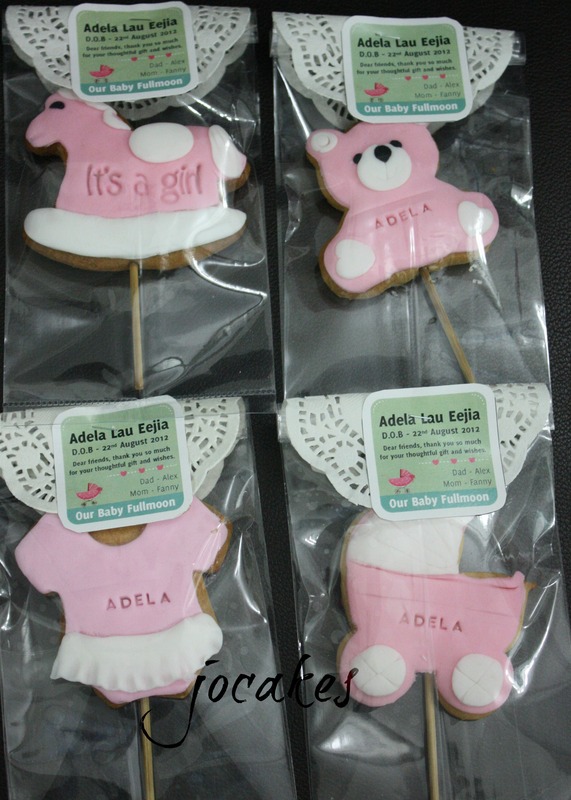 Tripple celebration in one day! 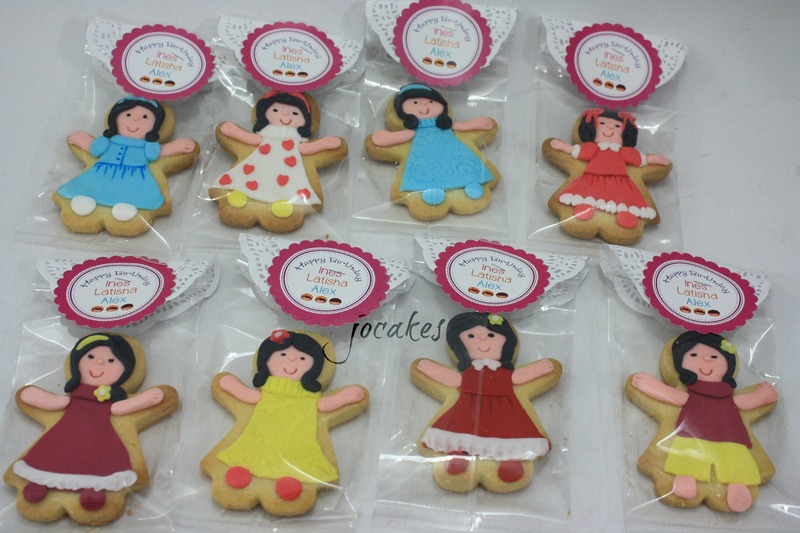 Commissioned by Fazlina and her colleagues for her boss 36th birthday.